I can do some of the problems on this, but some I can't figure out. 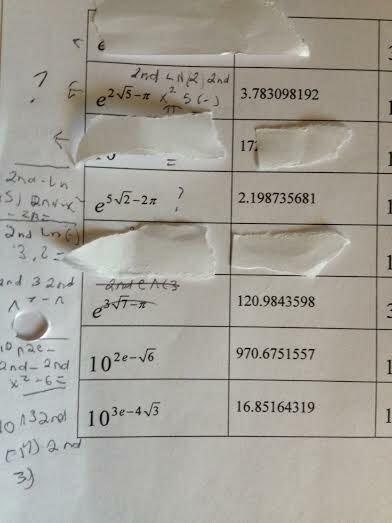 The answers on these listed I am getting wrong, I covered up the ones I know. 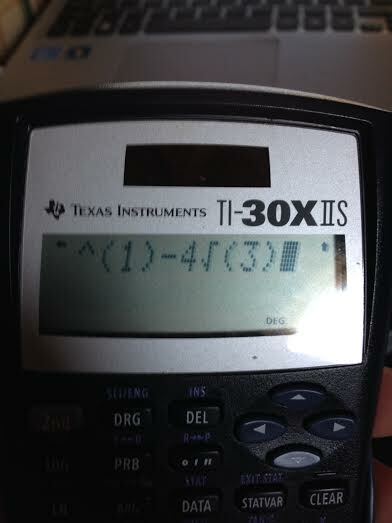 I am obviously making a mistake typing them in my calculator. 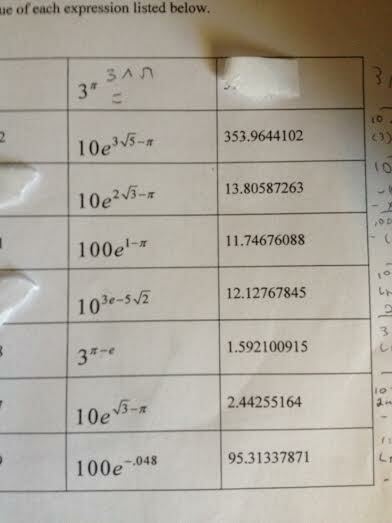 The ones with the e not in the exponent but the base, I can't figure out how to enter that. 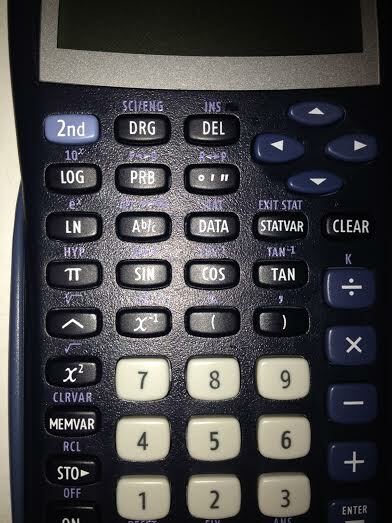 I use 2nd-LN for e^. I got it almost all figured out! 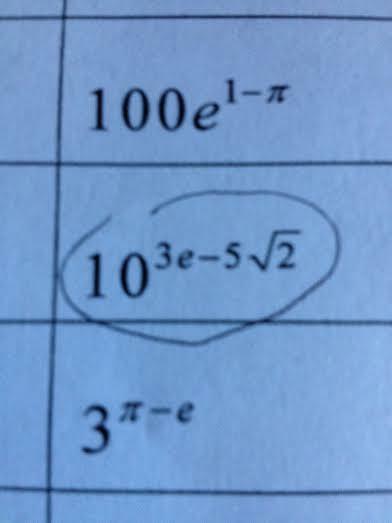 One last question, how do i get the "e" in the exponent like that? I don't think it's 2nd->LN because that would put it at e^ again. 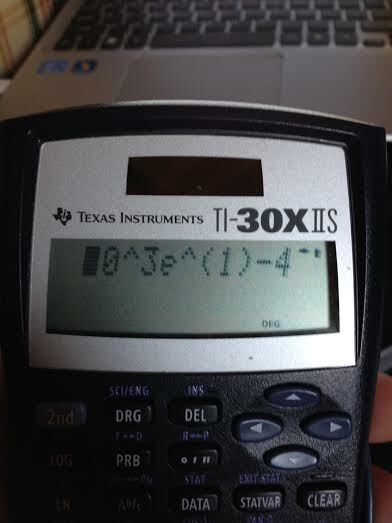 The answer is coming out wrong. im posting it in 2 pictures so you can see the whole problem i typed in.